Everybody loves a good action movie. The amazing tricks, crazy maneuvers and adrenaline-pumping action scenes are mesmerizing, mainly because many of us couldn’t imagine completing a wild, and often dangerous, stunt. But many actors don’t feel up to risking their necks for these show-stopping stunts, either. Instead, movies often rely on stuntmen to ensure the movie is action-packed. Surprisingly, despite the danger associated with the job, there are tons of people vying for roles as stuntmen and women. Because so many are competing for these positions, an average stunt double typically doesn’t make a fortune. In fact, according to the Screen Actors Guild, a union of theatrical workers that sets minimum day and weekly rates for stunt work, the daily minimum for a stunt double is $859, and the weekly rate is $3,200. It’s by no means a meager wage, but it certainly lags behind the other performers on set. But sometimes a stunt double finds a way to separate themselves from the rest of the pack. 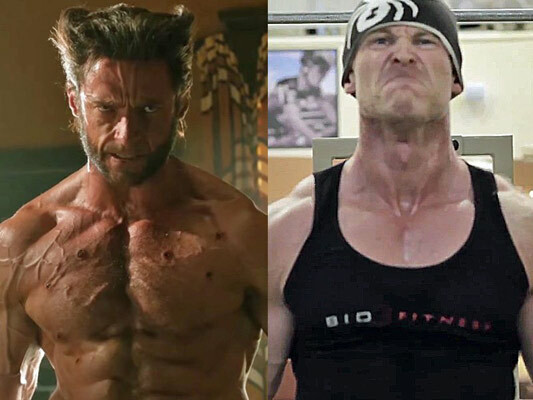 Curious about who the most in-demand stunt doubles are? This list takes a look at some of the biggest stunt double names in Hollywood. You’ve (unknowingly) seen him in Van Helsing, where he doubled for Hugh Jackman, as well as in other major blockbusters including Van Helsing and X-Men: Days of Future Past. He’s also played the double for Guy Pierce, Pierce Brosnan, Timothy Dalton, Matthew McConaughey, Colin Firth, Ted Danson and Hugh Grant. 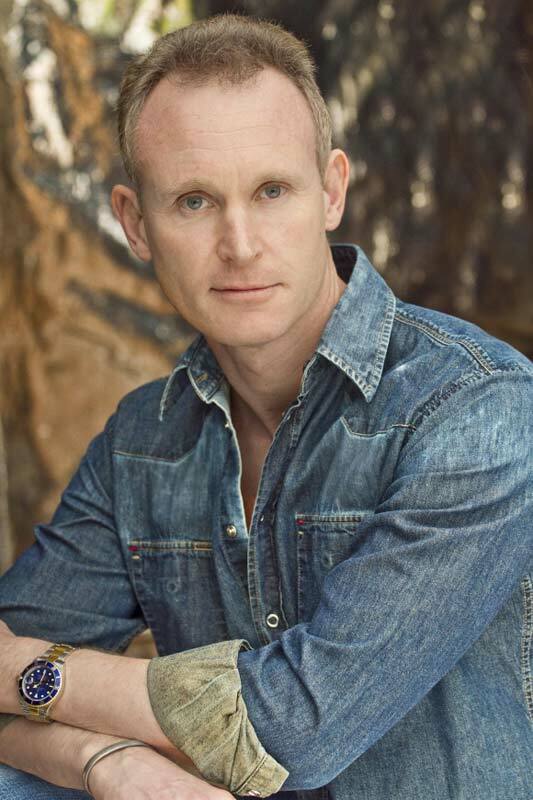 Bradshaw describes himself as an all-around performer, a quality that allows him to land many extremely diverse roles, which is key to a stunt double’s success. A few of his skills include stunts that involve cars, riding wires and anything related to horses. 1. You’re from the United Kingdom. How are you enjoying Vancouver? I first visited Vancouver in 2002, then again in 2005 when I was working here on X-Men II & III. In 2005 I was out here for 7 months & my daughter ended up being born out here. During that time both my wife & I realised that Vancouver just felt like “home” & we started the process of applying for residency. It took 4 years for the residency to be processed but now I’m here. I’m loving it every bit as much as I expected. The combination of the natural surroundings – the sea, the mountains, the islands – & the wonderful people who live here had made us feel so welcome. 2. What inspired you to start working in stunts? During my teens & early 20’s I was always interested in a great many different physical pursuits: I was in the British fencing team, national standard at Modern Pentathlon (including show jumping), had done a fair bit of Judo as a younger teenager, ridden a motorcycle as soon as I could buy one from my very first job – my parents were never going to buy me one!! – done a bit of rally driving, kayaked many of the bigger rivers throughout the alps, & worked as a diver on the oil rigs in the north sea. In addition to this, when I left school I wanted to be an actor & did a 3-year acting course at University. The acting never really took off for me, but in my late 20’s I met a guy who was training to get into stunts & I had a light-bulb moment. Here was something, which would get me doing both the performing I still loved, & all the sports I was trying to find the money to do… & would pay me to do it! From that moment I never looked back. There are so many things I love about my work: the people I get to work with; the locations I get to experience; the learning about the history of the story we are filming, if it is to some extent based on a true story, or at least a time in history… but if I was to have to pick one thing it is probably the moment after you have really put yourself out there & done a big stunt & the feeling of a job well done. There are very few times in our lives when we get the opportunity to clear your mind of everything else in your life & completely focus on one thing & one moment. Nothing else in your life can interfere at that time & your mind & body is totally focused on the next few seconds. When that has led to a big stunt going really well it’s a feeling that’s hard to top. 4. What is the craziest stunt you can remember doing? I think everyone has their own perception of what is “crazy”, & that’s often down to doing something which is simply outside their comfort zone. I would say one of the biggest challenges for both a stunt performer & co-ordinator is when the action involves a great many other elements, beyond just a stunt performer: for example large numbers of performers, mixing in stunts, actors & extras, special effects, (fire, explosions, water dump tanks), animals, the natural environment such as the sea etc. The more elements there are to take into consideration the less it is possible to assess exactly what is going to happen, & the more you need to keep your eyes & ears open & think on your feet. On Titanic there was a sequence when the water crashed through the roof of the ballroom staircase. There were about a dozen performers in the set of the staircase & above us were 6 of the 40’ containers, usually seen on the back of semi-trailers, filled with water. On a cue these dumped all their water on top of us. We had no very clear idea of what this would do to the set, to our planed escape routes or indeed to each of us individually. In the end it actually lifted the whole staircase & pushed it into one corner of the set as we were thrown around like rag-dolls trying not to get pinned under anything too heavy. Everyone walked away without too much damage done to personnel, but that was down to a fair element of luck as well as some pretty quick thinking guys being in the firing line. 5. Can you explain a bit about what is involved in stunt doubling? Stunt doubling adds in a whole different element to the role of a stunt man. You need to carefully study the way your actor holds himself & moves, understand the implications of him being left handed, or of nursing some old injury, etc. You need to be able to mimic his movements, while at the same time potentially making him look cooler by moving better than would be natural for him. In addition to this you are the person who gives the actor the comfort level they need to perform the elements of action required of them. For example if you are putting an actor up on a wire & flying him around he will want to see you rehearsing it first, then it will be your job to look after him as much as possible to keep the naturally uncomfortable experience of being in a harness as manageable as possible so he can concentrate on his performance. As far as the extent to which actors do their own stunts is concerned, actors are like any other cross section of the community: some are naturally more athletic than others. I have worked with one actor who, for many years was the world’s most well-known action hero. He was, in fact, no athlete at all. He had a stunt double who was a very good photo double for him & his double did everything which was much beyond tripping over a curb. The actor’s job was just the dialogue & the close-ups. The flip side is someone like Hugh Jackman who is an amazing athlete & up for learning pretty much anything from fights to high falls, spinning cars to cattle wrangling. He’s the greatest pupil & learns so fast, but will happily step aside if he understands there is too much of a potential for danger, not letting his ego get in the way of the process of making cool action. The ideal combination in an actor. 6. You worked as a stunt performer on Titanic, what kinds of stunts were involved? I referred to one of the action sequences on Titanic earlier, but there were countless sequences with a massive amount of action involved. We had huge tracking shots running the full length of the ship with dozens of stuntmen & women jumping off the side on cue, falling between 40-60’ into the water & them trying to swim away from the ship, as another stunt performer was landing almost in the place where they had just been. The timings & trust that the other performer would do their part on cue were critical. Being landed on from that height would not have been pleasant. The other major sequence was where the poop deck rises up & people were sliding & falling down it. We worked with it set at 30’, 60’ & 90’. As it was at 90’ we were attached by ropes, which had an element of stretch in them. On these ropes we would drop to within a few feet of a hard object – a rail, ladder or bench – then as we rebounded from the stretch in the line, it would release us & drop us the rest of the way down, giving the impression we had hit the hard object & rebounded off that. Once again there were a considerable number of performers all working in a very confined space, absolutely relying on each other’s timings to create the effect safely. 7. Do you have a special type of stunt that you are known for, or that you just really enjoy doing? I think of myself as an all round performer. I am generally an agile guy & my experience with swords has led to me being involved with a number of period movies. Having said that I am also very experienced in cars, riding wires, in, under & around the water & with horses. I like to think this gives me a useful perspective as a stunt coordinator because I have been the guy in the spot on a great range of the stunts I am setting up for other guys or girls to be doing. As far as what I enjoy doing… one of the elements I most enjoy about my work is the variety. One day I may be fighting with a Hollywood A list actor, the next I may be jumping off a cliff into the sea doubling for someone, & the day after I could be putting together the shot list for a car chase sequence for a low budget film. You never have a chance to get bored. 8. What motivates you as a stunt performer? What motivates me most has changed over the years. 9. What do you admire most when working with another stunt performer or actor?